« Hablando en plata, Baby! As I set out in The Fall of the Com­mu­nist Dynasty, and a HT to John Hempton’s piece within which he con­tends that the entire Chi­nese econ­omy is a Klep­toc­racy , this week we have news from Cit­ron Research who reports that Ever­grande Real Estate Group Ltd is ‘a decep­tion on a grande scale’ . What sparked Cit­rons inter­est in Ever­gande was the mail order doc­tor­ate the chair­man claimed from the Uni­ver­sity of West Alabama, a small col­lege 230 miles north of New Orleans with 2300 on-cam­pus stu­dents. Evergrande’s is one of the top 5 play­ers in the Chi­nese prop­erty mar­ket that fell for its 8th con­sec­u­tive month in May. My expe­ri­ence with these types of mat­ters is that small things can be excel­lent mark­ers to greater prob­lems. Small exam­ples of dis­hon­esty in one area of life are often reflected in larger undis­cov­ered exam­ples in other areas of a person’s life. Mean­while, Chi­nese Postal Bank, the country’s 7th largest bank in terms of assets, had its Pres­i­dent led away by inves­ti­ga­tors. The remark­able aspect of this story is that is that it is not remark­able ; bil­lion­aire senior party fig­ures get taken away for ques­tion­ing on a weekly basis. Else­where , Zoom­lion the con­crete and indus­trial machine giant is seek­ing Rmb140bn ($22bn) in fresh credit, fuelling fears the com­pany is at the cen­tre of a grow­ing debt bub­ble. Zoom­lion only has a mar­ket cap­i­tal­iza­tion of $12.5B and is one of the most shorted stocks on the Hong Kong mar­ket with over 30% on loan at any one time to short-sell­ers. This com­pany cer­tainly lives up to its name, we know we have a bub­ble when a com­pany with a busi­ness model like this one can raise just less than twice as much as the Face­book who raised $12.B by sell­ing 12.3% of the com­pany. Zoom­lion has an inter­est­ing busi­ness model, it is sim­i­lar in many of ways to Cater­pil­lar, except whereas Cater­pil­lar report falling sales, Zoom­lion reports astound­ing sales growth with a five­fold increase in rev­enue since 2007. 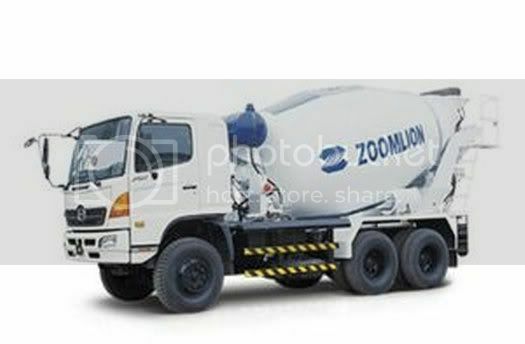 Zoom­lion cus­tomers some­times buy ten con­crete mix­ers when they planned to ini­tially by one or two. They have a per­verse incen­tive to buy more than they need because these con­crete trucks are pur­chased via finance pack­ages sup­plied by Zoom­lion. Then the machines can be garaged and used as col­lat­eral to bor­row fur­ther funds from other lenders. Zoom­lion con­tin­ues to grow while cement sales have plunged. In May, cement out­put increased 4.3 per cent YoY, down from 19.2 per cent recorded last year. Zoomlion’s new debt of $22.5B buys roughly 900,000 trucks which could pro­duce enough con­crete (at six loads a day) to build over thirty Great Pyra­mids of Giza a day . Every sec­tor is infected with these kinds of per­verse busi­ness prac­tices, steel traders used loans meant for steel projects to spec­u­late in prop­erty and stocks , it has been com­mon (appar­ently) for steel traders to secure loans to buy steel then use this same steel as col­lat­eral to bor­row funds to invest in prop­erty devel­op­ment and the stock mar­ket. In many ways this is the steel ver­sion of the Zoom­lion model. A fun­da­men­tal foun­da­tion of any lend­ing mar­ket is the abil­ity of the lender to ensure title and guar­an­tee own­er­ship of col­lat­eral. There is $400B in debt spread across the steel mar­ket, this debt sim­ply can’t be ser­viced even with more stim­u­lus, a fall in the price of steel could ren­der much of the mar­ket seg­ment insol­vent. 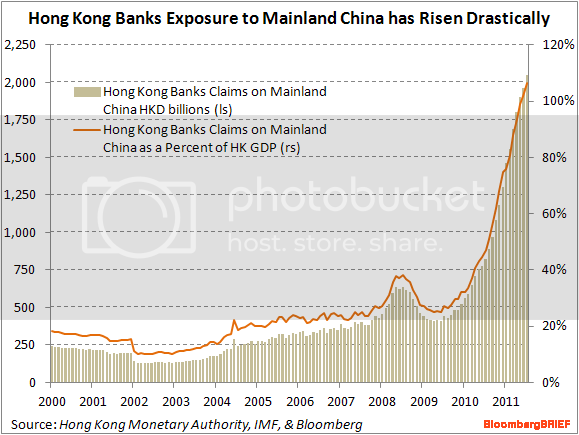 The money is being fun­neled to main­land banks via Hong Kong then it leaves via Macau casi­nos. There are dis­sent­ing opin­ions that China has a prob­lem. Even though Chi­nese PMI is falling at a faster rate than at any time in the last 3 years . Michael Pas­coe tells us it is only the eco­nom­i­cally illit­er­ate that would read this data unfavourably. Despite Michael’s assur­ances that every­thing is super ok, a falling PMI is yet another sig­nal of prices and orders falling right through­out the Chi­nese econ­omy . Pas­coe is typ­i­cal of the high­handed media econ­o­mists who will chant CCP pro­pa­ganda all the way over the edge. Pas­coe leads cheer­lead­ers against Amer­i­can excep­tion­al­ism, all the while embrac­ing the Chi­nese vari­ety with both arms and few ques­tions. The monop­oly of cap­i­tal becomes a fet­ter upon the mode of pro­duc­tion which has flour­ished along­side and under it. The cen­tral­i­sa­tion of the means of pro­duc­tion and the social­iza­tion of labor reach a point at which they become incom­pat­i­ble with their cap­i­tal­ist integu­ment. This integu­ment is burst asun­der. The knell of cap­i­tal­ist pri­vate prop­erty sounds. The expro­pri­a­tors are expro­pri­ated. All rev­o­lu­tions have class and eco­nomic mat­ters at their core. Iron­i­cally, the dif­fer­ence in a future Chi­nese col­lapse is that the expro­pri­a­tors in China in this cycle have been the Com­mu­nist Party polit­i­cal class. The CCP have become the Klep­to­pre­neur bour­geoisie who have expro­pri­ated from China’s pro­le­tariat (the indus­trial work­ing class), via cor­rup­tion and theft from the state and state owned enter­prises. The Ka-Ching Dynasty is respon­si­ble for the great­est loot­ing of a nation in his­tory. The CCP ‘sor­cer­ers’ have sum­moned up a polit­i­cal and eco­nomic nether world that is so sys­tem­i­cally cor­rupted it is in the process of spi­ralling into same rev­o­lu­tion­ary physics that destroyed the orig­i­nal Chi­nese mer­chant bour­geoisie that Mao over­threw. The Chi­nese gov­ern­ment has set sav­ing rates at exces­sively low lev­els. Over­time this takes sav­ings from depos­i­tors and trans­fers wealth to bor­row­ers. In China this wealth is then mal-invested in projects that have lim­ited real eco­nomic value, in the process trans­fer­ring large amounts of worker sav­ings to the klep­to­pre­neur class , who then often take the cap­i­tal out of the coun­try. The cur­rent polit­i­cal lead­er­ship of China rep­re­sents the great­est loot­ing of a coun­try by the polit­i­cal class ever seen in his­tory. In the Hurun Report released in March 2012—the rich­est 70 mem­bers of the gov­ern­ment have a net worth of $89.8 bil­lion, an aver­age of over $1B each. This com­pares to $7.5 bil­lion for the 660 for the US gov­ern­ment, an aver­age of $11M each. China’s Bil­lion­aire People’s Con­gress Makes Capi­tol Hill Look Like Pau­pers. In a coun­try so indoc­tri­nated in the works of Marx, it seems only a mat­ter of time before the cur­rent Chi­nese pro­le­tariat, suf­fer­ing under extreme wealth dis­tri­b­u­tion, will rise up. One only has to look at the geo­graphic dis­tri­b­u­tion of wealth to see where the prob­lems might begin. The cor­rup­tion was genet­i­cally imprinted on the sys­tem from the early 1990s. 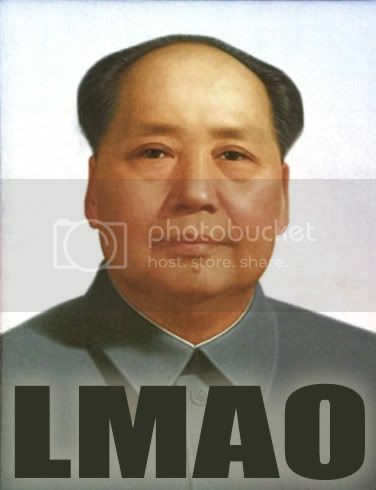 Cadres (party offi­cials) and entre­pre­neurs, com­bined to take pre­vi­ously state owned enter­prises dur­ing an increas­ingly relaxed Chi­nese hybrid econ­omy encour­aged by Deng Xiaop­ing. Cadres were inten­tion­ally encour­aged to leave the CCP and set up busi­nesses, many decid­ing to keep both roles, becom­ing what was known as Cadre-entre­pre­neurs. There were sound rea­sons for this , let­ting party cadres to set up busi­nesses was the only way of open­ing up the gov­ern­ment con­trolled sys­tem. Whereas a non-cadre entre­pre­neur might not be able to nav­i­gate the com­plex­ity of gov­ern­ment sup­port and approval, a CCP cadre had, in the early days, all the under­stand­ing and influ­ence to move an oppor­tu­nity for­ward. This paper expands fur­ther on the on the nature of the early cor­rup­tion — Insti­tu­tion­al­ized Cor­rup­tion and Priv­i­lege in China’s Social­ist Mar­ket Econ­omy: A Gen­eral Equi­lib­rium Analy­sis Ke Li, Rus­sell Smyth, and Yao Shunt­ian. 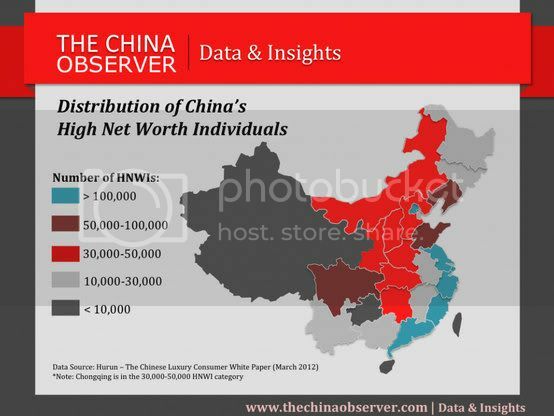 Cap­i­tal flight has started; 60 per cent of about 960,000 Chi­nese peo­ple with assets of over Rmb10m ($1.6m) have already begun the process of emi­grat­ing or are con­sid­er­ing doing so. Are the Chi­nese top 1% los­ing con­fi­dence and tak­ing their money out? In the arti­cle “High Wealth Con­cen­tra­tion, Porous Exchange Con­trol, and Shocks to Rel­a­tive Return: the Frag­ile State of China’s For­eign Exchange Reserve”, Vic­tor Shih under­lines how frag­ile China is to a loss of con­fi­dence by Chi­nas busi­ness elite. If this busi­ness elite is pre­dom­i­nately made up of Klep­to­pre­neurs and Cadrepre­neurs , then cap­i­tal flight might be bought on by a flight to safety by the polit­i­cal class fear­ing a purge rather than com­ing about as loss of con­fi­dence in China. Never in his­tory has a gov­ern­ment at this scale , been so com­pletely cap­tured by a polit­i­cal class intent on enrich­ing itself, serv­ing not the best inter­ests of the peo­ple but their own ends. When and in what form the indo­lent mob rises up is hard to say. 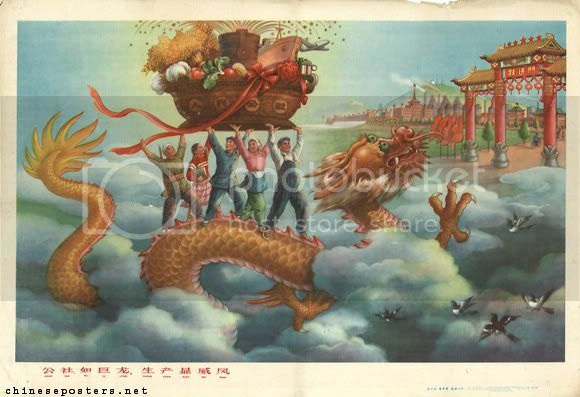 The real­ity, though, is that the Chi­nese polit­i­cal class is los­ing con­trol. Guanxi the essen­tial sys­tem of trust that holds the Chi­nese sys­tem together is break­ing down, as is the Lenin­ist van­guard sys­tem of con­trol­ling state affairs through the CCP. A sys­tem of mutual trust and a cen­tral party van­guard is impos­si­ble to main­tain in a Klep­toc­racy. Craig Tin­dale is the Vice Pres­i­dent of the Cen­tre for Eco­nomic Sta­bil­ity, Pro­fes­sor Steve Keen’s non-profit research ini­tia­tive.